American novellist Francis Scott Key Fitzgerald sadly died 21 December 1940 after suffering a heart attack. He was born September 24, 1896 in Saint Paul, Minnesota, to an uper-middle-class family, Fitzgerald was named after his famous second cousin, three times removed, Francis Scott Key, but was referred to as “Scott.” He was also named after his deceased sister, Louise Scott. Fitzgerald spent he first decade of his childhood in Buffalo, New York and Syracuse, New York between 1901 and 1903). Fitzgerald attended two Catholic schools on the West Side of Buffalo, first Holy Angels Convent and n Nardin Academy. Fitzgerald was intelligent with an interest in literature, his doting mother ensuring that her son had all the advantages. Fitzgerald attended Holy Angels for only half a day—and was allowed to choose which half. In 1908, the family returned to Minnesota, where Fitzgerald attended St. Paul Academy, St. Paul from 1908 to 1911. When he was 13 he published a detective story in the school newspaper. In 1911, when Fitzgerald was 15 years old, his parents sent him to the Newman School, a prestigious Catholic prep school in Hackensack, New Jersey. There he met Father Sigourney Fay, who encouraged him to pursue his literary ambitions. After graduating in 1913, Fitzgerald attended Princeton University, New Jersey, where he befriended future critics and writers Edmund Wilson and John Peale Bishop and wrote for the Princeton Triangle Club, the Nassau Lit, and the Princeton Tiger And the American Whig-Cliosophic Society, which ran the Nassau Lit and the Universty Cottage club The Princeton Triangle was a kind of musical-comedy society. in 1917 Fitzgerald dropped out of school to join the U.S. Army. Afraid that he might die in World War I with his literary dreams unfulfilled, Fitzgerald hastily wrote a novel called The Romantic Egotist. the reviewer noted its originality and encouraged Fitzgerald to submit more work in the future. During the 1920’s Fitzgerald travelled to Paris and the French Riviera, befriending many members of the American expatriate community in Paris, notably Ernest Hemingway. Fitzgerald supplemented his income by writing short stories for such magazines as The Saturday Evening Post, Collier’s Weekly, and Esquire, and sold his stories and novels to Hollywood studios. Fitzgerald had been an alcoholic since his college days, and became notorious during the 1920s for his extraordinarily heavy drinking, leaving him in poor health by the late 1930s. Fitzgerald suffered two heart attacks in the late 1930s And was ordered by his doctor to avoid strenuous exertion. He moved in with Sheilah Graham, who lived in Hollywood on North Hayworth Avenue, where he had two flights of stairs to climb to his apartment. On the night of December 20, 1940, Fitzgerald and Sheilah Graham attended the premiere of This Thing Called Love starring Rosalind Russell and Melvyn Douglas. As they left the Pantages Theater, Fitzgerald became dizzy and The following day, Fitzgerald jumped from his armchair, grabbed the mantelpiece, gasped and fall to the floor. Upon entering the apartment to assist Fitzgerald, he was found dead. His body was moved to the Pierce Brothers Mortuary. Fitzgerald died at age 44, before he could complete The Love of the Last Tycoon. His manuscript, was edited by his friend, the literary critic Edmund Wilson, and published in 1941 as The Last Tycoon. In 1994 the book was reissued under the original title The Love of the Last Tycoon. Fitzgerald is considered a member of the “Lost Generation” of the 1920s and he is widely regarded as one of the greatest American writers of the 20th century. His works are the paradigmatic writings of the Jazz Age, and have inspired writers ever since the publication of The Great Gatsby which is required reading in many school and college classes. He finished four novels: This Side of Paradise, The Beautiful and Damned, The Great Gatsby (his most famous), and Tender Is the Night. A fifth, unfinished novel, The Love of the Last Tycoon, was published posthumously. Fitzgerald also wrote many short stories concening themes of youth and promise along with age and despair. Fitzgerald’s work has been adapted into films many times. Tender is the Night was filmed in 1962, and made into a television miniseries in 1985. The Beautiful and Damned was filmed in 1922 and 2010. The Great Gatsby has been the basis for numerous films of the same name, spanning nearly 90 years; 1926, 1949, 1974, 2000, and 2013 adaptations. In addition, Fitzgerald’s own life from 1937 to 1940 was dramatized in 1958 in Beloved Infidel. Fitzgerald is also a 2009 inductee of the New Jersey Hall of Fame and is also the namesake of the Fitzgerald Theater in St. Paul, Minnesota, home of the radio broadcast of A Prairie Home Companion. The Queen then consults her Magic Mirror again, and the mirror reveals Snow White’s survival. 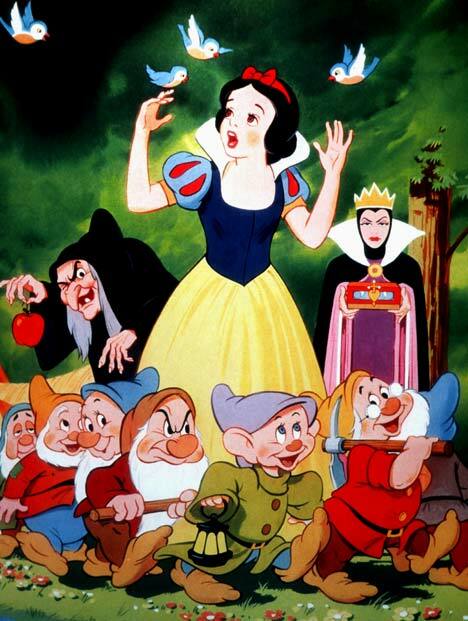 Now infuriated, the Queen dresses as a comb seller and convinces Snow White to take a beautiful comb as a present. She brushes Snow White’s hair with the poisoned comb and the girl faints again. She is again revived by the Seven Dwarfs when they remove the comb from her hair. The Magic Mirror tells the Queen that Snow White is still “a thousand times more beautiful”. As a third and final attempt to rid herself of Snow White, the Queen secretly consults the darkest magic and makes a poisoned apple. Disguised as a farmer’s wife, she offers it to Snow White. The girl is at first hesitant to accept it, so the Queen cuts the apple in half, eating the white (harmless) half and giving the red (poisoned) half to Snow White. The girl eagerly takes a bite and falls into a state of suspended animation. This time, the Seven Dwarfs are unable to revive Snow White. Assuming that she is dead, they place her in a glass casket. Winter solstice occurs on 21st of December It is the time at which the Sun appears at noon at its lowest altitude above the horizon. which usually occurs on December 21 to 22 each year in the Northern Hemisphere, Which is the Summer Solstice in the Southern Hemisphere.In the Southern Hemisphere the time at which the Sun is at its northernmost point in the sky (I.e The Winter Solstice in the Southern Hemisphere & Summer Solstice in the Northern Hemisphere) usually occurs on June 20 to 21 each year.The axial tilt of Earth and gyroscopic effects of the planet’s daily rotation keep the axis of rotation pointed at the same point in the sky. As the Earth follows its orbit around the Sun, the same hemisphere that faced away from the Sun, experiencing winter, will, in half a year, face towards the Sun and experience summer. Since the two hemispheres face opposite directions along the planetary pole, as one polar hemisphere experiences winter, the other experiences summer. More evident from high latitudes, a hemisphere’s winter solstice occurs on the shortest day and longest night of the year, when the sun’s daily maximum elevation in the sky is the lowest.Since the winter solstice lasts only a moment in time, other terms are often used for the day on which it occurs, such as “midwinter”, “the longest night”, “the shortest day” or “the first day of winter”. 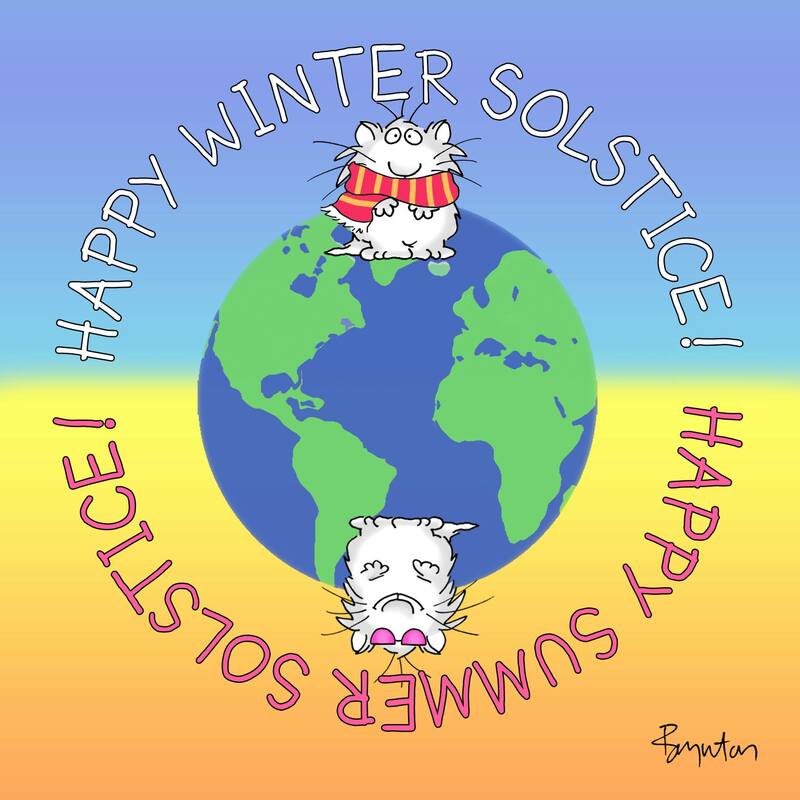 The seasonal significance of the winter solstice is in the reversal of the gradual lengthening of nights and shortening of days. Worldwide, interpretation of the event has varied from culture to culture, but most Northern Hemisphere cultures have held a recognition of rebirth, involving holidays, festivals, gatherings, rituals or other celebrations around that time.